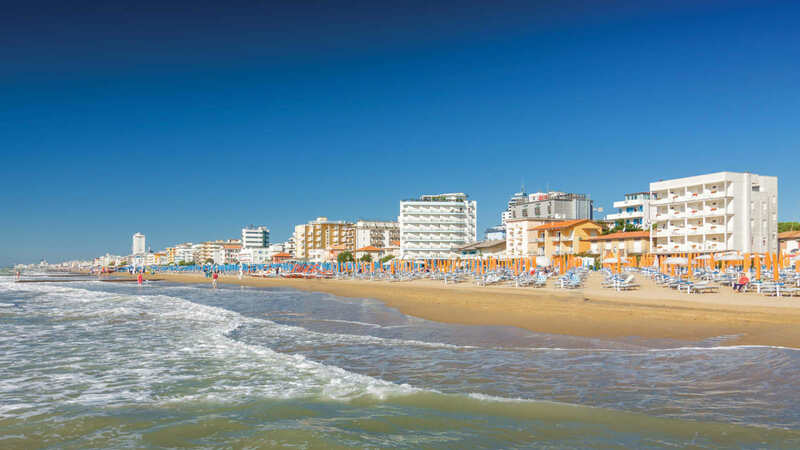 Seamless stretches of soft, sandy beaches, crystal blue waters, one of the largest pedestrianised shopping areas in the world and a vast array of stellar attractions nearby - there’s a reason why Lido di Jesolo is so popular with sun-seekers. 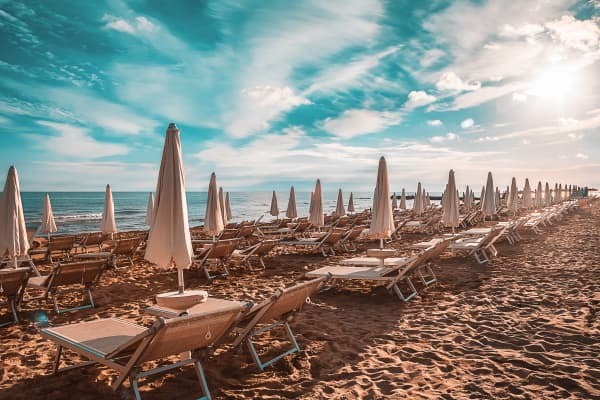 Attracting holidaymakers to its shores for decades, the resort boasts a 15km stretch of golden sandy beach meticulously lined with comfortable sun loungers and parasols. You’ll also find showers and snack bars dotted along it too, for visitor’s comfort and enjoyment. 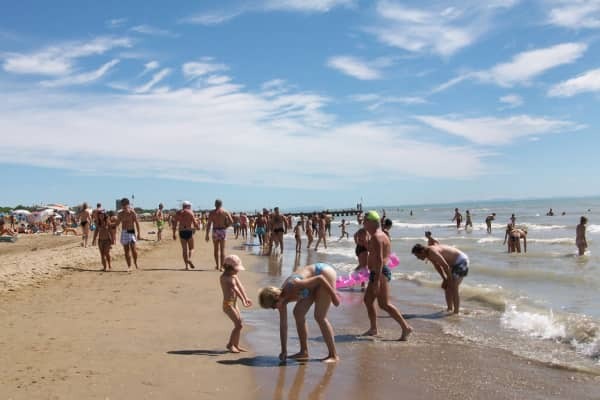 Whiling away the days here, without having to leave the golden sandy shores, is the joy of visiting Lido di Jesolo. 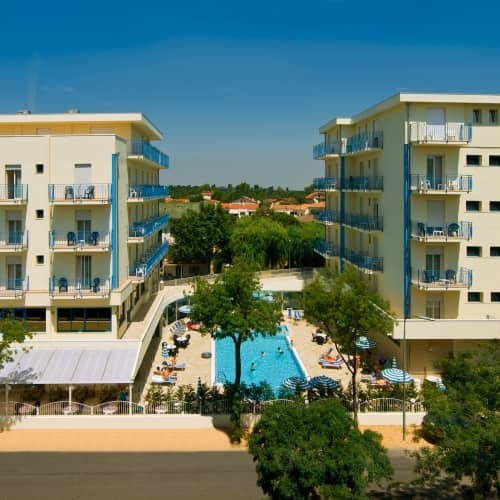 It is made for sun and beach-lovers. 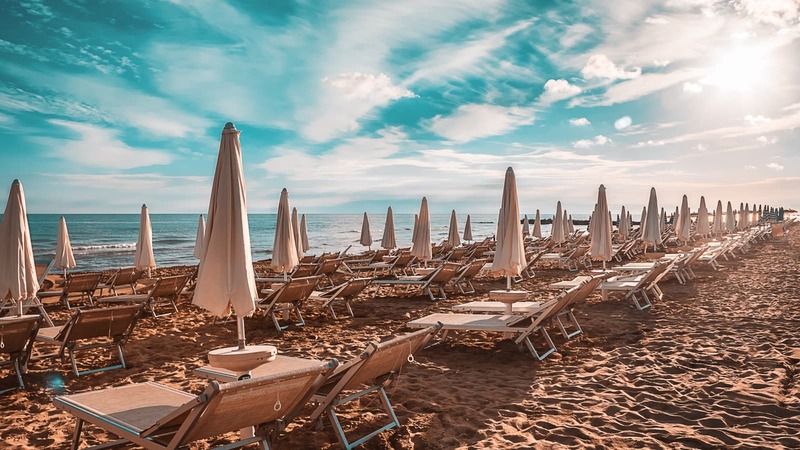 For those who need a little break from the beach and are craving some holiday retail therapy, Lido di Jesolo does not disappoint. 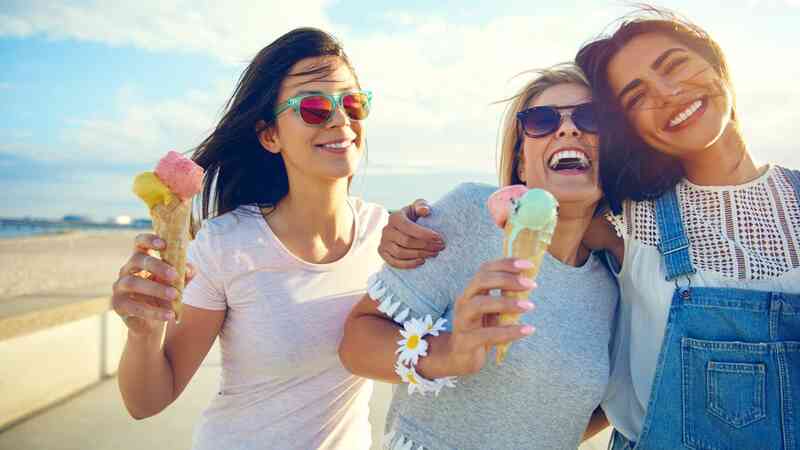 The resort’s pedestrianised shopping area is filled with 13km of designer boutiques and high-street stores, and you’ll be spoilt for choice with the number of great restaurants and cafés also on offer. 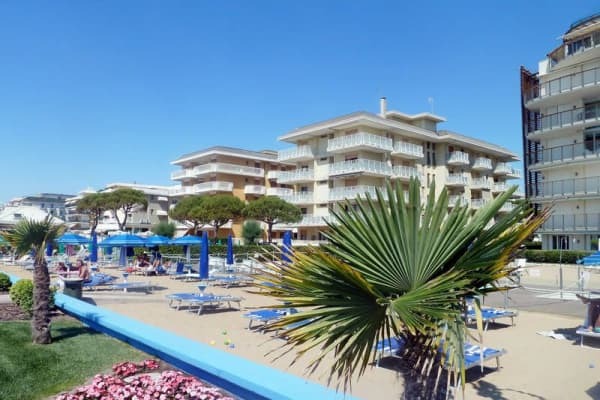 With its proximity to so many fantastic and well-loved sights and cities, if you do fancy a day or two away from the beachside, then Lido di Jesolo is ideal. 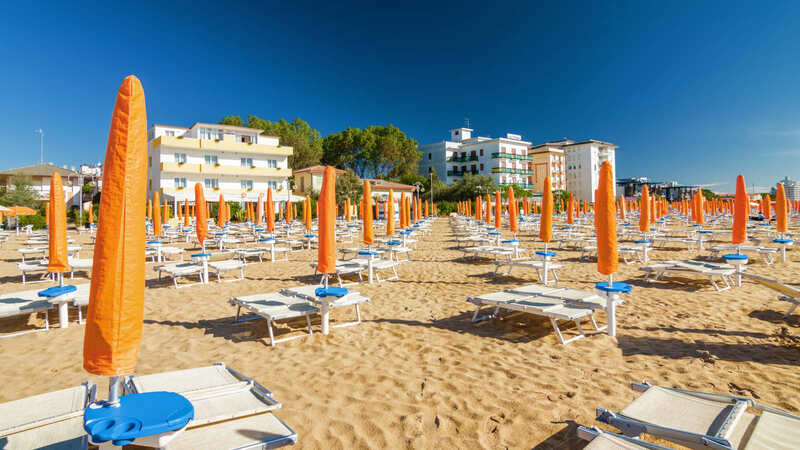 You can get relaxation on the beach in the sun, as well as some of the cultural exploration that Italy is famed for. 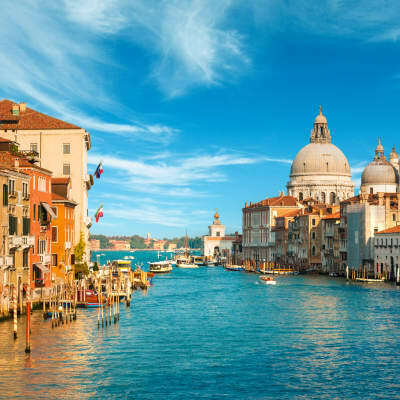 Venice is one spot that you will not want to miss during your stay here and with it being under an hours drive away, it really would be a shame not to. 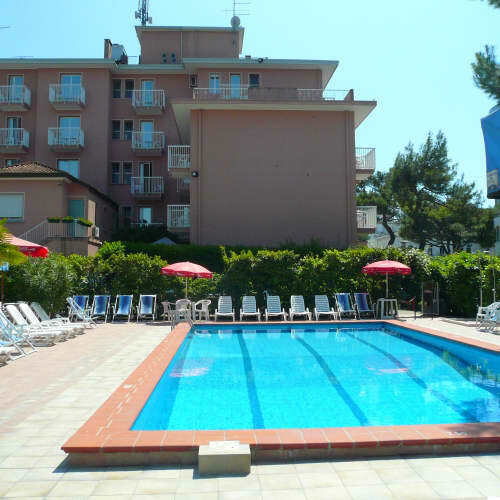 Visitors can also go slightly further afield to see the romantic city of Verona and can even reach Lake Garda and its stunning natural beauty in a few hours. 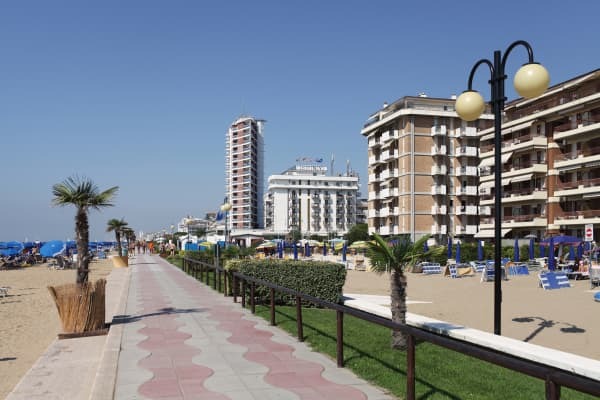 Nightlife in Lido di Jesolo is diverse. 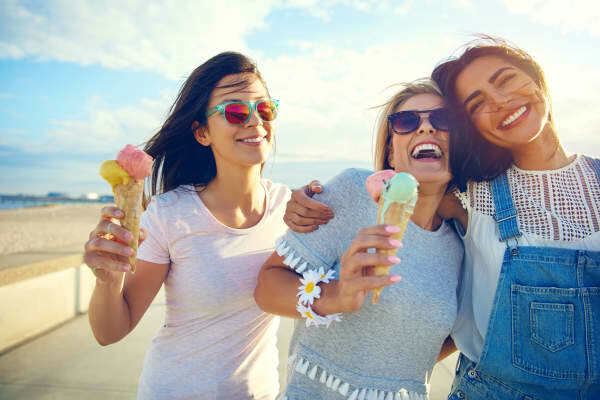 There are a variety of family-friendly bars, some with designated areas for children to play and for those looking for something a bit more lively, there is an array of late night bars. 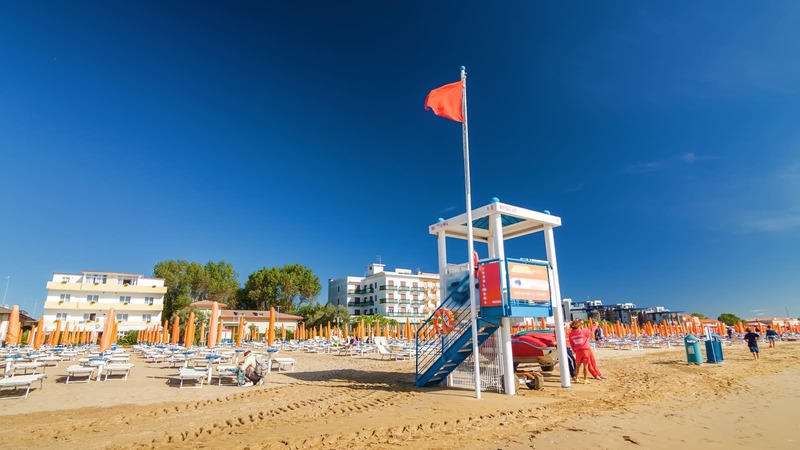 When it comes to the daytime recreational activities on offer, Lido di Jesolo really is in a class of its own. There are, quite simply, tonnes of things to do. 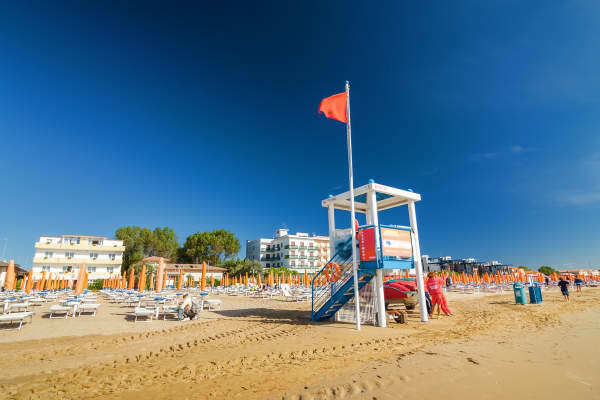 Take a trip to Italy’s top waterpark, Aqualandia, or discover the Sea Life Aquarium and the famous reptilarium, Tropicarium Park. 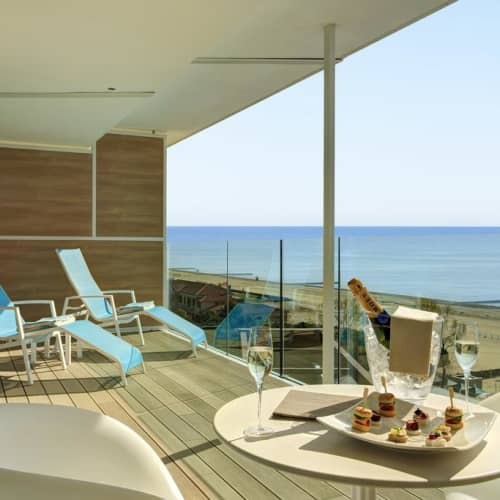 The resort’s modern amenities paired with its vibrant atmosphere makes Lido di Jesolo the ideal destination for a fun, relaxed and sun-drenched holiday. For Mary it’s all about love! 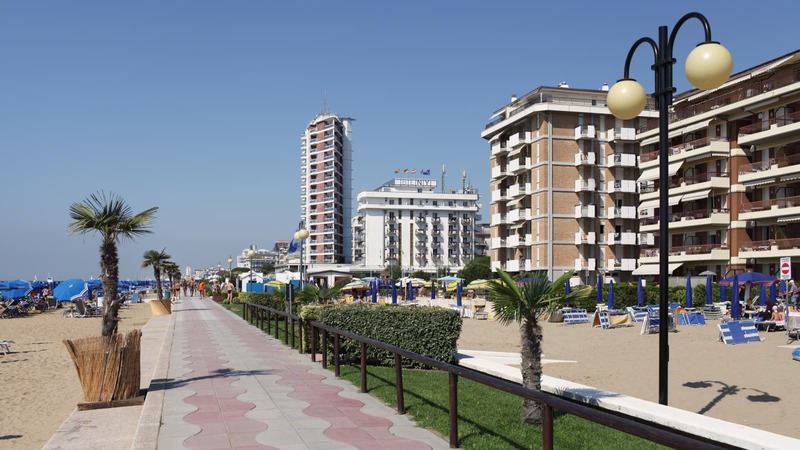 She has been married to an Italian for 41 years and simply loves Jesolo. 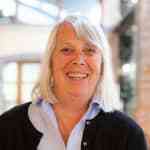 Having worked for Topflight for 17 years, she says "I've loved being a resort manager, have met lots of lovely people, some of which I keep in touch with after many years. 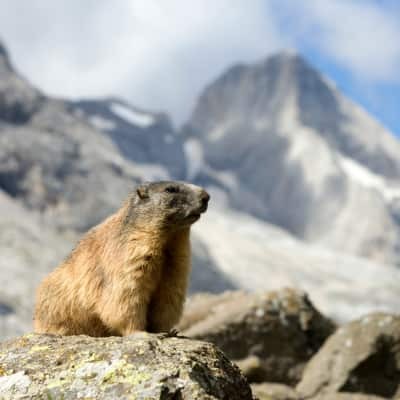 My favorite excursion is Cortina and the Dolomites, I go whenever I can. 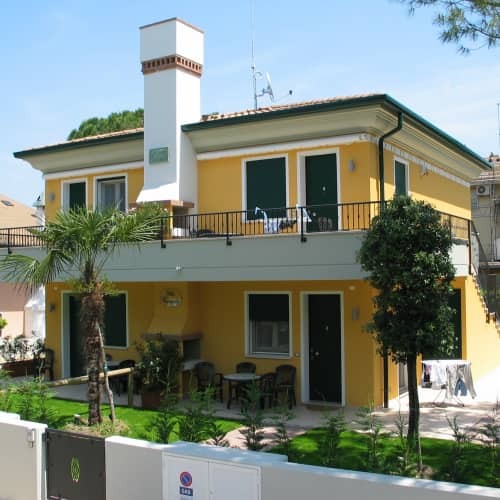 And of course, we are so lucky here in Jesolo to have Venice on our doorstep". Beautiful Venice needs no introduction: one of the most famous cities in the world, declared World Heritage Site by UNESCO and one of a kind, built upon the waters of the same-named lagoon; every year, thousands of visitors from around the world visit its characteristic alleys, being transported to the magical atmosphere of a bygone era. 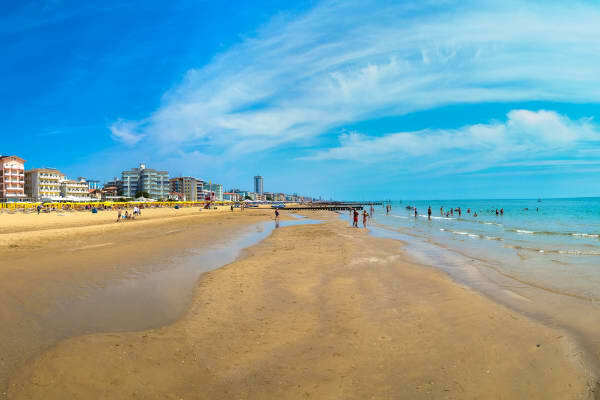 You will be collected by coach after lunch, so be prepared for what wil, be an unforgettable trip to one of the most romantic cities in the world. Departing from Punta Sabbioni, sit back and relax during the 30-minute cruise, as you take in the scenery of this magical lagoon. 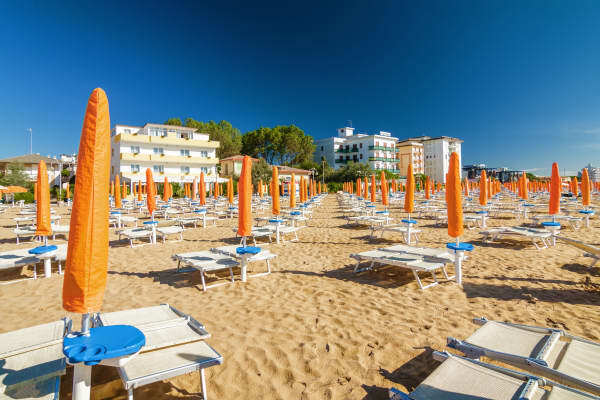 Boasting such famous landmarks as the 16th-century Sant’Andrea fortress and the Church of San Pietro di Castello, which served as the administrative and spiritual center of the city until the 1800s. You will disembark near St Mark’s Square, the city’s main piazza which perfectly exemplifies the splendour of this city’s rich history. 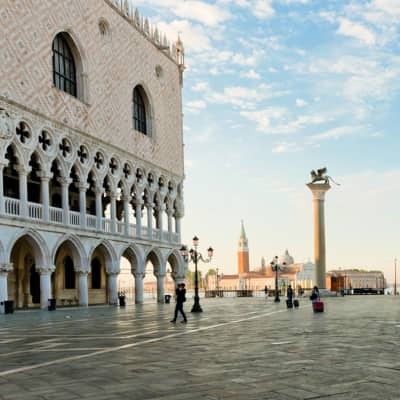 Here, you’ll take a walking tour of the square itself and visit the famous Basilica di San Marco, where you will be in awe of its Byzantine domes and the glittering 8,500m of colourful mosaics. Its beautiful golden interiors coupled with the stunning architecture make this church one of the most visited and unforgettable attractions of Venice. Afterwards, your guide will lead you to the renowned shopping area of Rialto. 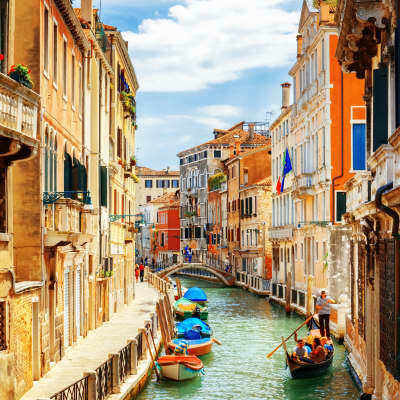 Cross the Ponte di Rialto, Venice’s most famous bridge, to the bustling Venetian market with its colourful stalls of fresh seafood and local produce that are sure to whet your appetite. You will have free time for lunch, and you should have no problem finding a tasty spot to dine on some great Venetian fare. You will also have time to wander the boutiques and shops that line the narrow, labyrinthine back streets of this enchanting city. 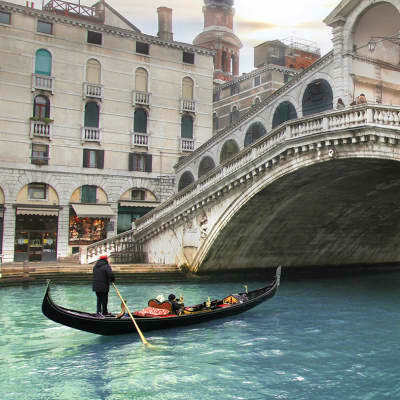 Should you wish, a gondola ride or sightseeing cruise on the lagoon are payable locally. Return to the coach by boat. 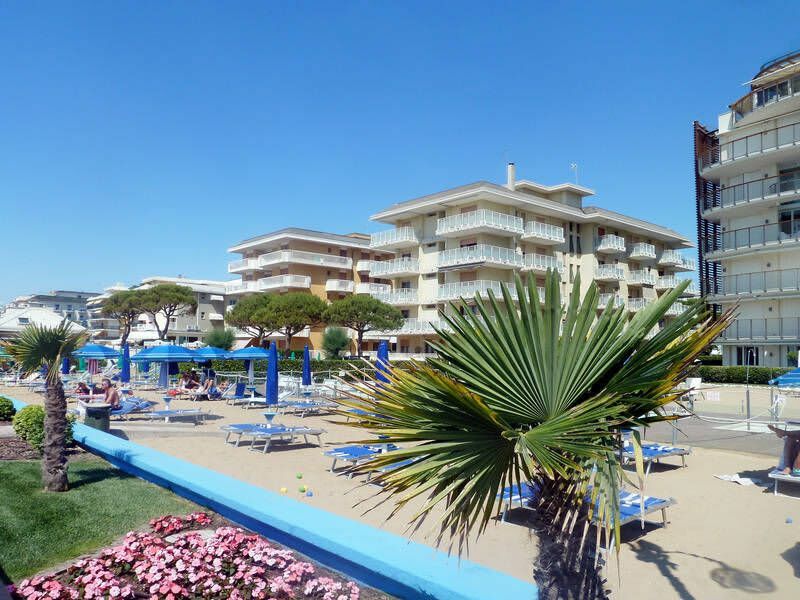 You will be collected and brought back to Lido di Jesolo at around 11pm. 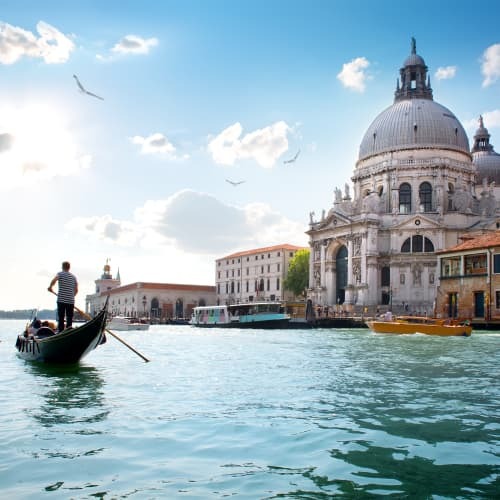 Please note Venice visit Tourist Tax €3 per person is payable locally. 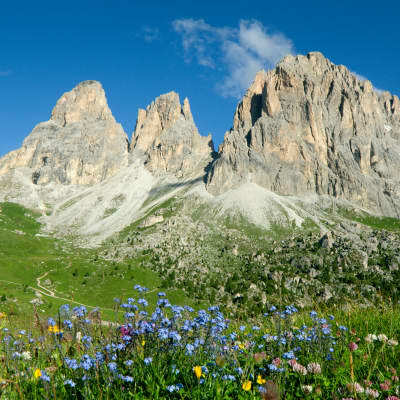 Explore the picturesque resort of Cortina, nestled amid the spectacular Dolomite mountains. Treat your sight to truly wonderful landscapes of picture-postcard mountain reflections on the majestic lakes. 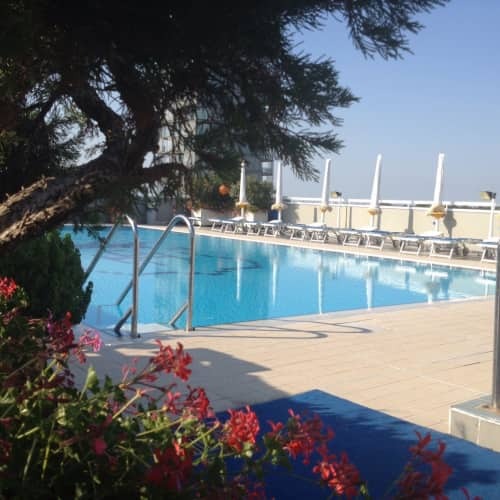 You will be picked up from Jesolo in the morning, right after breakfast, by coach. After just 70kms, observe as the green cultivated fields give place to the angled mountains of Prealpi in a drastic change of scenery. We will take a short break at the Santa Croce Lake, surrounded by soaring peaks and pine forests. You can admire the amazing view created by the majestic reflection of the mountains on the peaceful emerald lake. 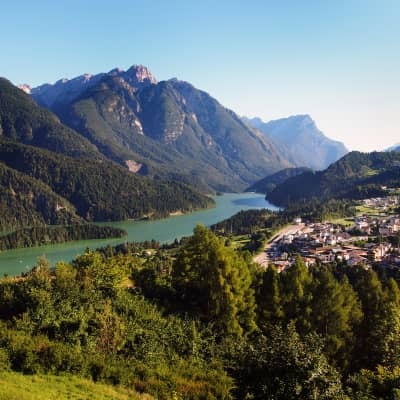 Your journey continues to the beautiful region of Cadore, home of the famous painter Tiziano, whose inspiration was drawn from the deep blues and greens of this idyllic landscape. 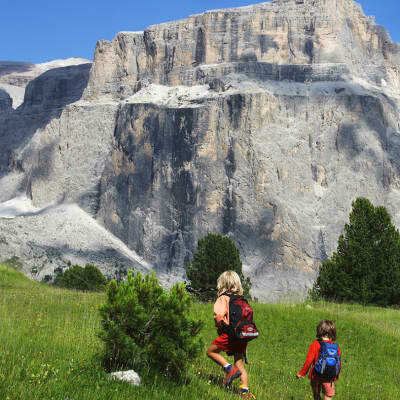 Marvel at the grandiose, pink coloured peaks of Sorapis, Pelmo and Antelao as we approach Cortina, just in time for lunch. 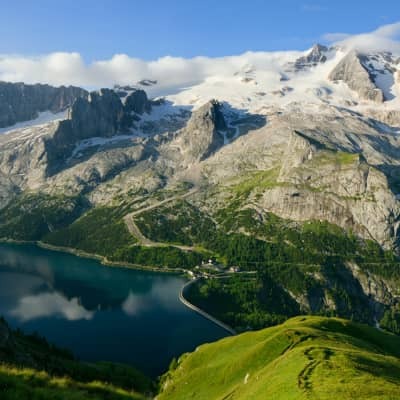 Known as 'The Pearl of the Dolomites', you can enjoy a quiet stroll and take pictures of the breathtaking mountains. Weather permitting you may also take the Cable car up to Faloria at 2134m, which overlooks the entire town of Cortina and the surrounding mountains. 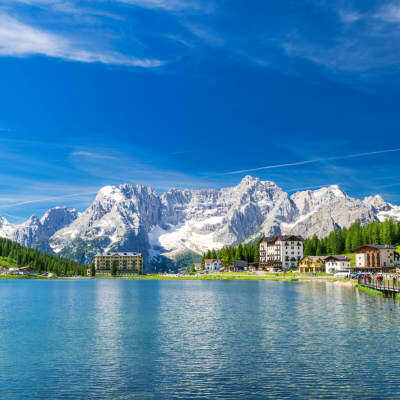 At around 3pm, we will leave Cortina and visit the wonderful Lake Misurina, where you can wander around and admire the beautiful mountain peaks and spectacular backdrop with views of 'Sorapis', and the 'Marmarole'. You'll be surrounded by scenery as stunning photo opportunities are plentiful! 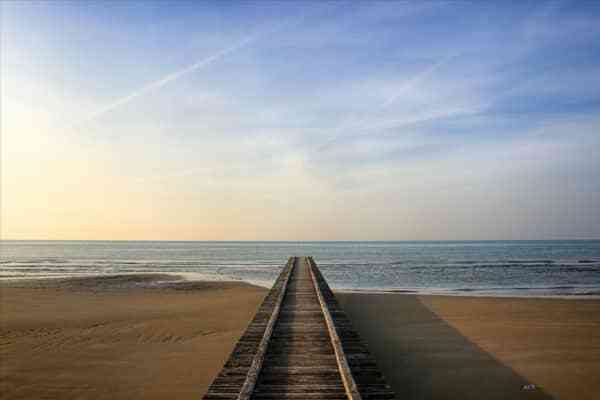 Afterwards, you'll be taken back to Lido di Jesolo in time for dinner. 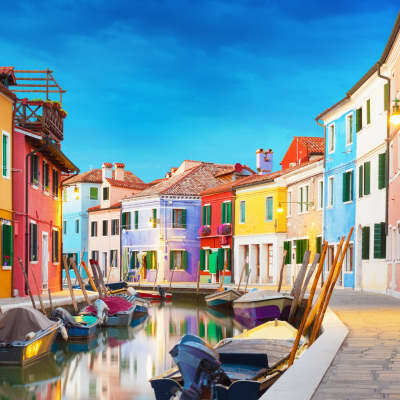 Explore the most romantic city in the world, Venice, and the islands of Murano - known for its famous glass - and Burano - known for its handmade lace. Embark on this journey that promises to be a true wonder for your senses, as you treat your sight to unforgettable landscapes, your mind to incredible history and your palate to sumptuous flavours. 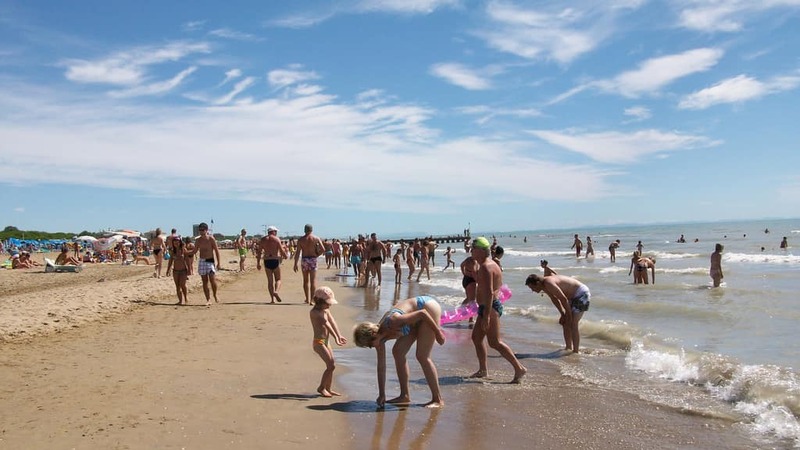 You'll be picked up in Jesolo early in the morning and taken by coach along the marvellous peninsula of Cavallino. Arriving at Punta Sabbioni, you'll embark on a scenic cruise across the Venetian Lagoon to the city. 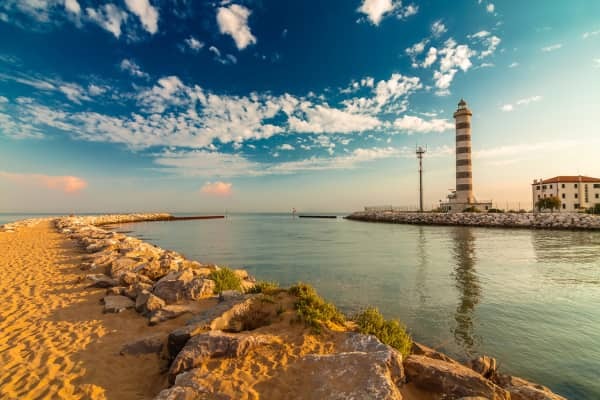 Sit back and relax during this 30-minute cruise as you take in the scenery of this magical lagoon, boasting such famous landmarks as the 16th-century Sant'Andrea fortress and the Church of San Pietro di Castello, which served as the administrative and spiritual centre of the city until the 1800s. You will disembark near St Mark's Square, the city's main piazza which perfectly exemplifies the splendour of this city's history. 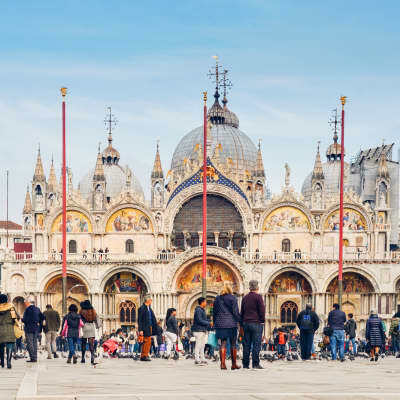 Here, you'll take a walking tour of the square itself and visit the famous Basilica di San Marco, where you will no doubt be awed by its Byzantine domes and the glittering 8,500m of colourful mosaics. Its beautiful golden interiors coupled with the stunning architecture make this church one of the most visited and unforgettable attractions of Venice. Following your guide to the renowned shopping area of Rialto, you can cross the Ponte di Rialto, Venice's most famous bridge, and cross the canal over to the bustling market, with its colourful stalls of fresh seafood and local produce that are sure to whet your appetite. You will have free time for lunch, and will have no problem finding a tasty spot to dine upon some great Venetian fare. 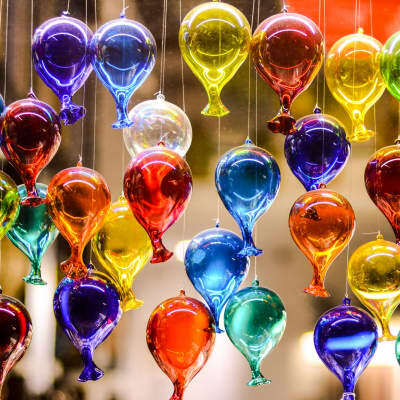 Meet again at the harbour at 2.45pm, from where you will board the boat once again and head to Murano, the home of the famous Murano glass. 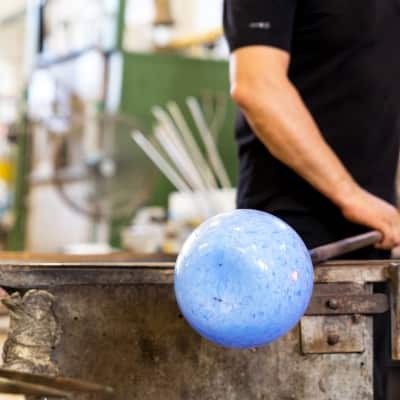 You will find plenty of workshops and glass factories, where you will have the chance to watch a performance of a real master at work, as they create an exquisite Murano piece. Later, stop by the showroom and maybe treat yourself to one of these unique pieces. You can also visit the second oldest church built in the lagoon, the Cathedral of Santa Maria and San Donato, a truly beautiful 12th-century architectural building. Board the boat once more as the journey continues towards Burano. Be prepared to be awed by the pastel-coloured houses that line up the canal, painting vibrant reflections on the water. This town is known for its handmade lace, which you can admire at the series of lace shops along the narrow streets. You can enter any shop to see how these lovely pieces are created by the women of Burano. Enjoy some free time strolling around the narrow cheerful streets of Burano, before you embark on your return journey. 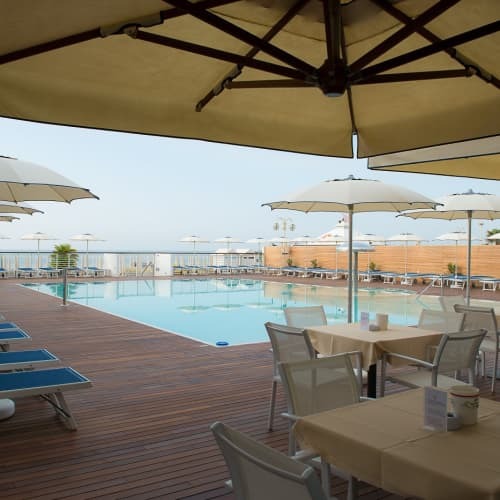 You will arrive back to Lido di Jesolo just in time to enjoy the beautiful sunset whilst sipping a glass of wine. Enjoy the contrasting splendour of a city and lake tour in one day! 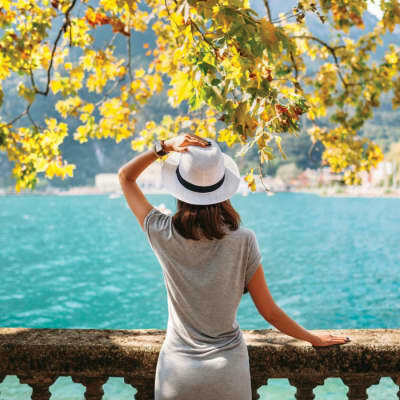 Explore the romantic city of Verona, home to Shakespeare's Romeo and Juliet, and spend the afternoon in a magical setting in Lake Garda's prettiest village, Sirmione. Discover the beauty of Lake Garda and the history of Verona on this wonderful excursion. We first head to the romantic city of Verona. 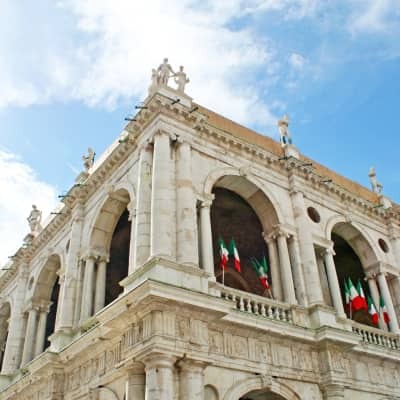 We will take a short break along the way, as we pass by the cities of Padua and Vicenza, both brimming with history. It was in Padua where one of the most famous architects in the world was born, Andrea Palladio. However, it was in Vicenza where he created a new architectural style, based on classicism, after studying the Roman ruins. His extraordinary buildings turned Vicenza and its surrounding villas into one UNESCO World Heritage Site. The Palladian style can be seen in many buildings throughout Europe. Still on the way to Verona, visit the famous two castles of Romeo and Juliet, where you can enjoy the wonderful views and listen to the romantic stories that still bring these magnificent stone structures to life. Perched on a hill dominated by vineyards, you can see the small, picturesque medieval town of Soave, renowned for its excellent white wine produced in this region's hills. 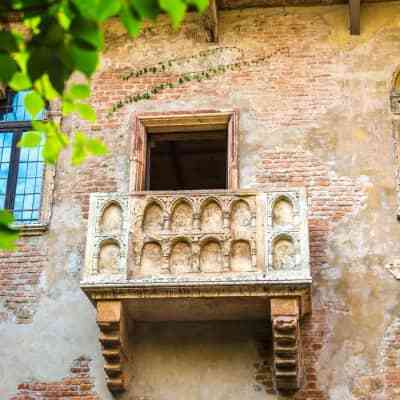 Arriving in Verona at around 11am take a stroll around the famous Opera Arena built of pink-tinged marble in the 1st century AD and afterwards visit Juliet's Balcony from Shakespeare's Romeo and Juliet. For lunch, delight yourself with a sumptuous Italian meal at one of the many traditional restaurants. After a hearty meal, we will head to the wonderful Lake Garda. Driving along the region of this famous lake, simply admire the beauty of the fragrant magnolias, cypresses, olive and lemon trees that make up the surrounding Mediterranean vegetation. 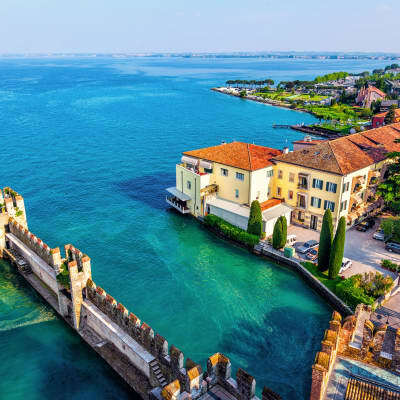 We will stop on the banks of this famous lake to visit the romantic peninsula of Sirmione, a fortified village emerging from the crystal-clear waters. 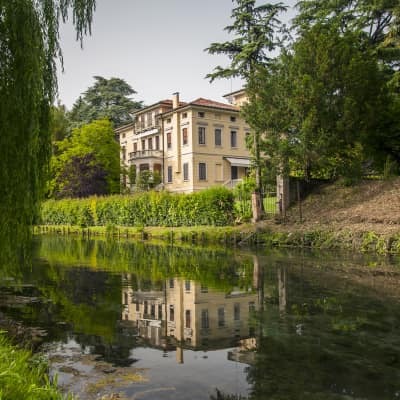 Whilst here, stroll around the narrow cobbled streets that bustle with colour and life, and visit the town's gem - The majestic moated castle of Rocca Scaligera, nestled amidst the tall medieval walls. 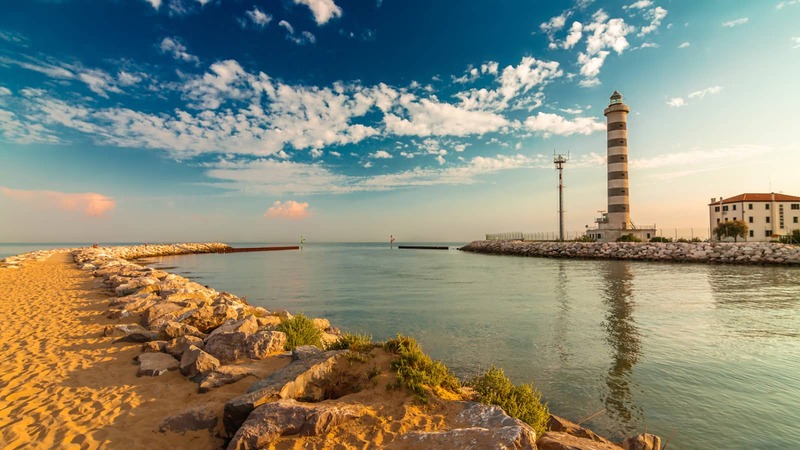 After exploring this village's unique beauty, hop on the coach as we return to Lido di Jesolo in time to experience the picture-postcard sunset. 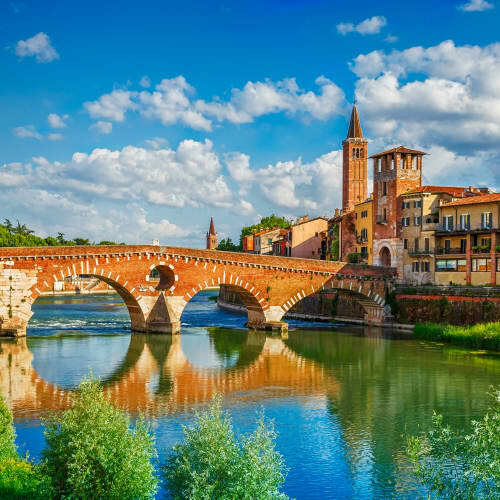 Experience the authentic Veneto region away from the crowds in this excursion through the medieval towns of Treviso and Roncade. 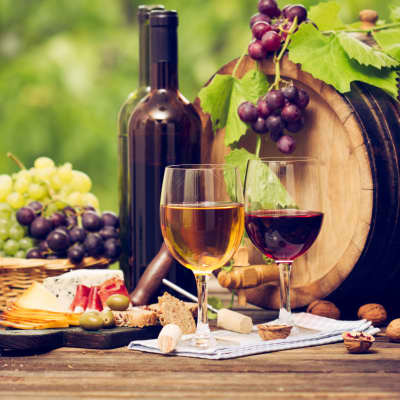 Explore renaissance buildings, castles and palaces, and end the journey with a delicious wine tasting of some of the prestigious regional wines. 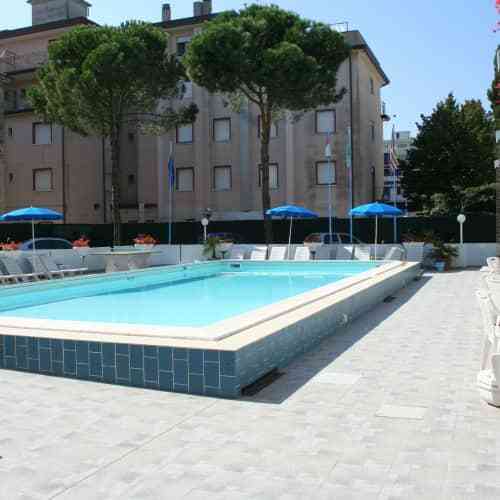 A coach will pick you up after breakfast and take you to the beautiful town of Treviso. Just a one-hour scenic drive away, this incredible setting of medieval city walls, narrow cobbled streets crossed by peaceful canals and impressive churches with detailed frescoes is everything you could ask for. Visit the main square, the medieval Piazza dei Signori, and the historical town hall, with the dominant Palazzo dei Trecento, proudly boasting its 14th-century architecture. Stroll around this charming town and discover its extraordinary palaces and tranquil surrounding waters. Marvel also at the numerous churches, each and every one of them a beautiful masterpiece, showcasing precious paintings and architectural ornamentation. 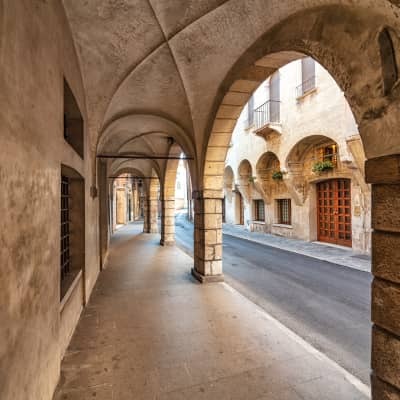 For shop lovers, browse the Via Calmaggiore, where the arches that characterise Treviso's arcaded streets beautifully frame its vast array of shops. 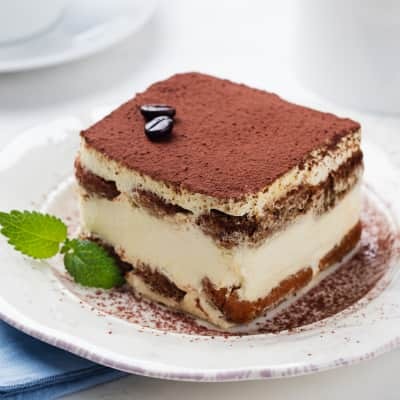 And while you're here, why not relax and savour a typical Italian dish in one of the many 'Trattoria', or indulge in a traditional tiramisú at 'Le Beccherie', the restaurant where this famous dessert was invented. After a delicious meal, you will depart for Roncade, where we will visit a fine example of exquisite Renaissance architecture that is the Castello Giustinian, property of Barone Ciani Bassetti. Still in use, the Castello sits on the ruins of a 10th-century castle built by Emperor Ottone II. As you enter this magnificent castle, admire the beautiful gardens that welcome you. The visit will proceed to the impressive cellar, one of the most important in the region, as the unique soil composition in this area enhances the production of its prestigious wines. Take a guided tour and learn about this wine production method, no doubt a little thirsty; This will be followed by a little wine tasting. Indulge in a variety of perfumed whites and full-bodied reds accompanied by delicious regional cheese and salami snacks. 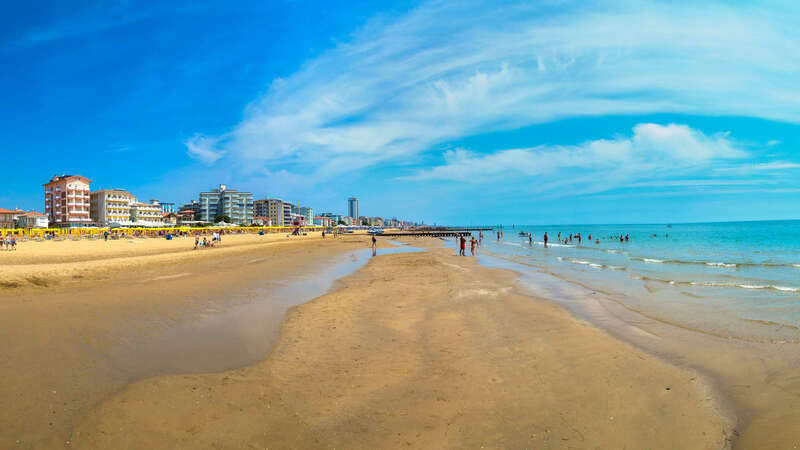 After a busy day exploring the wonders of this quiet Veneto region, enjoy the scenery as you return to Lido di Jesolo in the afternoon.